Home › Communications › When Client Pay Per Click Campaigns Go Mobile! Mobile has become the new challenge marketers are tackling. Coming up with new and pricey customer engagement models will only formulate half of the solution. Managers tend to gravitate to big data driven solutions with video and audio engagement opportunities for customers. Do past customer experiences matter now that you’re engaging customers via mobile? We know that technology allows campaigns to be flexible and switch directions at a moments notice. Pay Per Click campaigns allow for this simplistic design and execution, with a creative end result. Big data certainly plays a huge role in defining which consumer audiences are influenced. Keyword connections and phrases aren’t popular for no reason at all. Figuring out how keywords and phrases fit into your brand gives you the added edge that is needed. Being able to determine how much traffic your product or service is getting helps your business craft a ppc campaign to deliver sales faster. Pay Per Click campaigns traditionally work when all of the variables are taken out of the equation, because there are solutions that measure up against these negative obstacles. Mobile and PPC campaign deliveries are successful when direct paths are established between the campaign delivery and the customer. 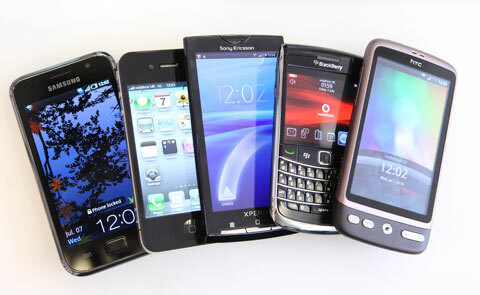 The mobile device is helping your product or service complete the sale. Engaging your customers creatively, and often in an educational manner, will make your PPC campaign stand out. Google+ and Google Partners have plenty of resources available to hobbyists that feel that with a little bit of training they can run the market with their product or service. There is more to all of it than that, and it isn’t just a basic formula. It’s interesting how Google has delivered the latest form of day trading, B2B and B2C online real estate acquisition style. On the the other side of the coin disaster could fall upon those who are not really experienced in measuring click ratios and performance. Planning a short term PPC campaign to run smoothly along side your long term SEO strategy will work in so many combinations. Your business will enjoy having advantages in the marketplace without really upsetting your competition.